Sam, your argument for a "one-night stand with Obama" could be used to justify voting for sold-out Democrats in any presidential election, and in any congressional, state, or local election too. "If we don't vote for the Democrat, we'll help shift the balance of power in our state legislature over to the GOP!" I'm surprised to see such squeamishness about third-party voting in The Progressive Review. The one-night stand argument for voting Democrat will be just relevant in 2016, 2020, 2024, and the rest of history, until enough people realize that endless one-night stands are as stunted, short-sighted, & tawdry in politics as in one's personal life. There are plenty of valid reasons to fret over a GOP victory. Ultimately, they serve to keep us locked in the two-party status quo. Can anything be worse than another Republican administration in the White House? Yes -- another century of dismal politics limited to two parties that keep drifting further to the right. At what point do we say "enough already" -- when the damage from bipartisan wars & Wall Street policies and the destruction of our republic have become irreversible? Irreversibility has even more ominous implications when we talk about global warming. Obama has no real plans for curbing climate change and has sided with the energy industry on offshore drilling, wars for oil, the "clean coal" myth, mountaintop detonation mining, fracking, etc. He deferred the Keystone XL pipeline decision, but we can probably place bets that he'll approve it after reelection. He has adopted the GOP line that the US is in a crisis of foreign oil dependency, rather than a crisis of fossil fuel addiction regardless of oil sources. He supports emissions trading (cap & trade), which gives industries a license to pollute that they can trade back and forth, and which European nations are realizing is ineffectual against climate change. 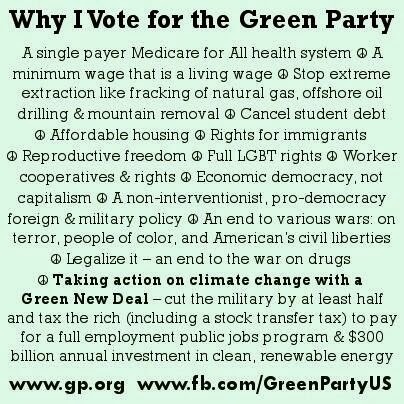 Compare that to the Green Party's platform, in particular the 'Green New Deal' promoted by Green candidates, including Jill Stein, who is now the Green Party's presumptive presidential nominee (http://www.jillstein.org/text_psou). 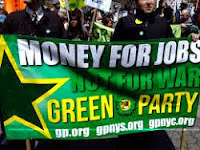 The Green New Deal offers a general but substantial set of ideas for curbing climate change and using the emergency to create millions of new jobs in the US in conservation, development & implementation of clean energy technology, retrofitting homes & building and municipal planning & land use for energy efficiency, expansion of public transportation to reduce car traffic, etc. Sam, I think we agree that we're long past due for something like the Green New Deal, that we're far beyond the point where such ideas must be introduced into the national debate during presidential election years. The articles covering climate change that are carried regularly in Undernews are the best proof that it's time to move beyond one-night stands with corporate-money Democrats. 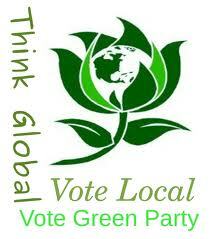 If we want intelligent discussion of climate change & steps to halt its advance (and a lot of other important topics), then we should push hard to get the Green presidential candidate as much public attention & support as possible -- not in some future election year when it's "safe" to vote Green, but right now in 2012.